Experts say the majority of diabetes-related amputations are almost "entirely preventable". Thousands of Australians with diabetes are needlessly having feet and parts of their legs amputated, with just one in two attending foot clinic screenings. Queensland University of Technology (QUT) is attempting to avert the alarming trend, which has seen Australia record the second highest rate of lower limb amputations in the developed world, by offering free comprehensive foot assessments for people with diabetes. 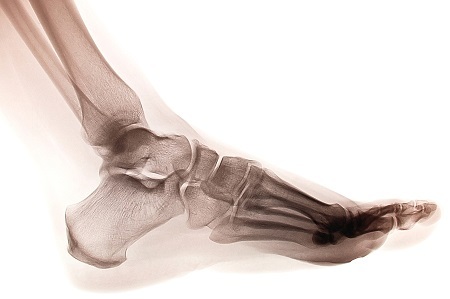 Foot disease affects more Australians than any other major diabetes complication, aside from cardiovascular disease, with about 85 sufferers having a foot or part of their leg removed each week. But Australia has just a 50 per cent screening rate for feet, with experts saying the majority of diabetes-related amputations are almost "entirely preventable" and a result of inadequate monitoring. The Diabetes Foot Clinic at QUT is offering free annual comprehensive foot assessments for people with diabetes. Associate Professor Lloyd Reed said the assessments would include an examination of key issues known to increase the risk of diabetic foot complications, including neurological testing, vascular testing, a musculoskeletal assessment, a dermatological assessment and a comprehensive footwear assessment. Senior Research Fellow at QUT and diabetes expert Peter Lazzarini said the foot assessments and controlling glucose levels would reduce the chance of foot complications and prevent a tidal wave of health problems. 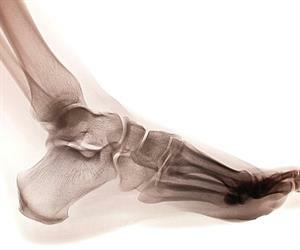 "Feet screenings need to occur every 12 months, this is where podiatrists will look for early foot complications such as loss of feeling and no pain response," he said. "The clinic will offer a comprehensive package of care with up to date machines to monitor those at risk and respond to diabetes nerve and circulation damage that affects the legs and feet." Nurse practitioner and diabetes educator Kerry Porter said managing diabetes would help normalise blood glucose, preventing short and long term complications that can impact on daily life. "Health practitioners must detect signs early on before there is a problem and this is why regular screenings are vital as they will pick things up at first sign so preventable measures can be put in place," she said.